“We made an escape from the overcrowding, the snotty siblings and the uncomprehending parents”, says Svarten as he slowly cruised down the street in his old Chrysler New Yorker. The end of the 1950s saw the emergence of a new youth subculture – the Greasers! 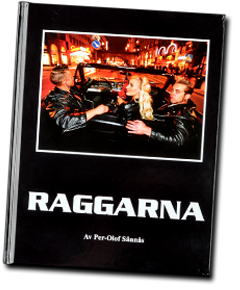 Greasers were young men with greased-up hair, leather jackets and old American cars who gathered on Kungsgatan in Stockholm. “They were like a swarm of grasshoppers. I don’t know where they came from”, says Constable Roland Vrethammar, who worked at the Klara police station. The Greasers did everything the rest of us would not dare to do ourselves, but perhaps dreamed of doing. They revolted against their parents’ generation and against the values of the establishment. 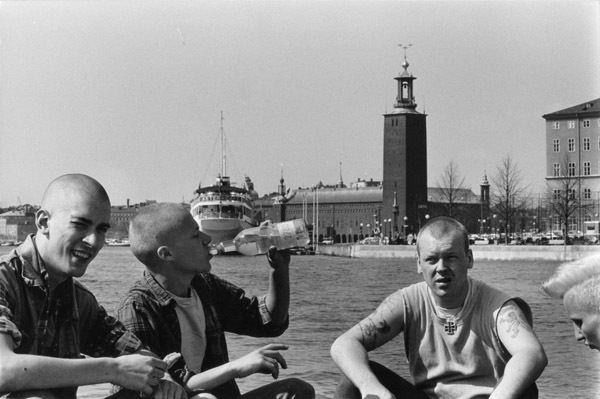 In Per-Olof Sännås’s feature book, we can follow along into the world of the Greasers. Far beyond the lurid headlines and dry police protocols, we meet the guys and gals behind the myth. 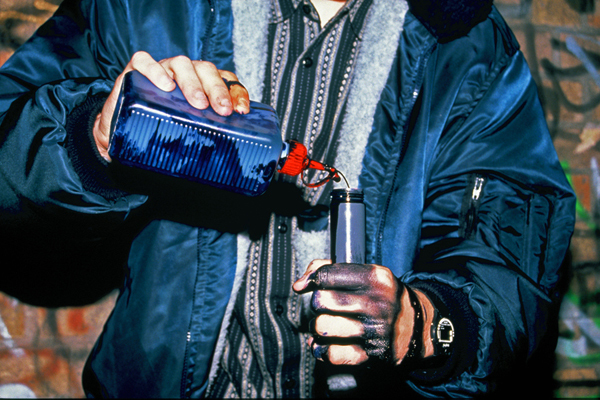 P-O Sännås is the photographer who became famous for his penetrating depictions of various gang cultures. He had already been known for his acclaimed photographic books on skinheads, graffiti artists, the Black Army and Hells Angels. “I have always been fascinated by the Swedish welfare state’s first rebels and I knew that one day I would do a book about them”, says Sännås. One rainy autumn evening in 2008, it was time. I flagged down a Greaser car on Sveavägen and asked if I could ride along. With a certain amount of hesitation, the Greasers let me in. So began my journey into Swedish Greaser culture, a stint that would last three years. I found a culture that was still alive and developing in spite of 50 years having passed since the first Greaser gangs appeared. The culture has been passed down through generations. Once you get too old to drive in the Greaser rally, your sons and daughters take over. Cars featuring large fins and lots of chrome are no longer being built. However, Elvis’s voice is forever preserved and the cruising continues all over the country. When photographer Per-Olof Sännås heard those words, he understood that he had done something that nobody before him succeeded in doing. 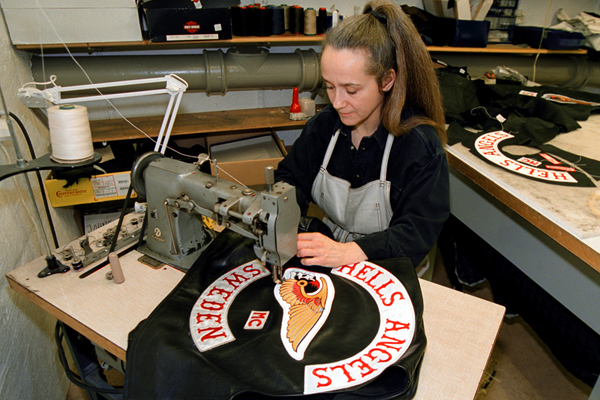 The “hangaround” title is applied to those at their first step toward becoming full members of the world’s most notorious motorcycle club – Hells Angels! 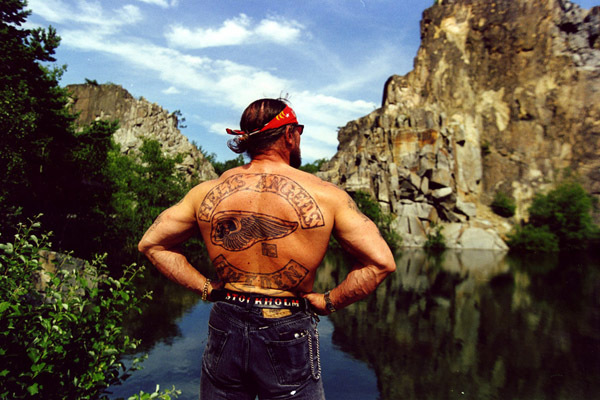 For more than five years, Per-Olof Sännås lived with the Hells Angels chapter in Stockholm. He was free to come and go as he liked at the clubhouse in Bromma. Nothing like it had ever before happened in the history of the club. 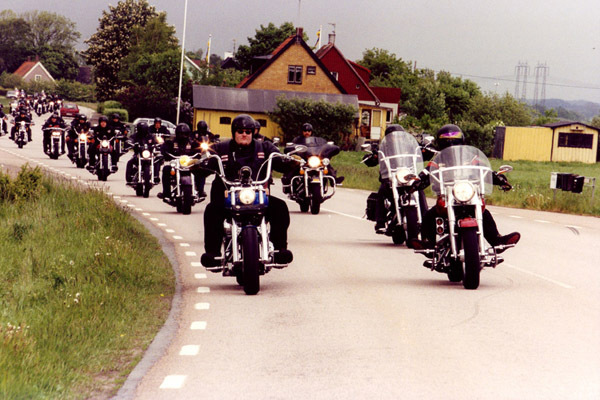 The first time Per-Olof Sännås met the gang, they were not yet Hells Angels. Back then, they were called Choppers, and Hells Angels was a distant dream. 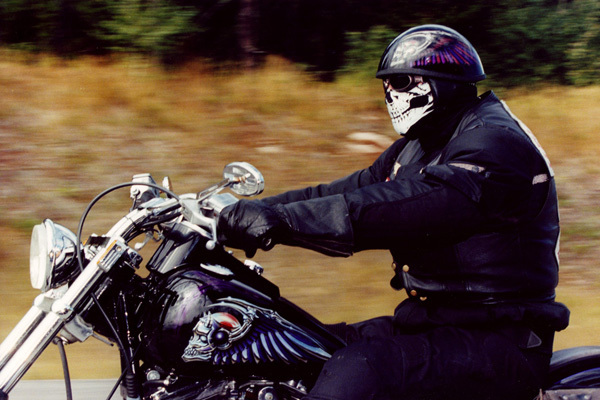 The skilled photographer won the confidence of the members and got to take his camera and follow along on their long and painstaking way - right up until the day when they got to put on the vest featuring the winged skull on the back. 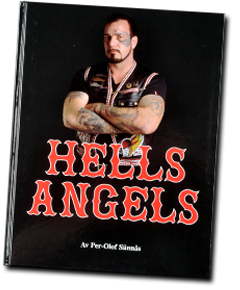 In the Hells Angels world, Per-Olof Sännås experience up close the MC wars, wild parties, majestic weddings and dramatic police raids. He has seen ecstatic joy and the deepest sorrow, heartfelt love and burning hatred. It went so far that the police even wondered if the headstrong photographer should not get a motorcycle himself. 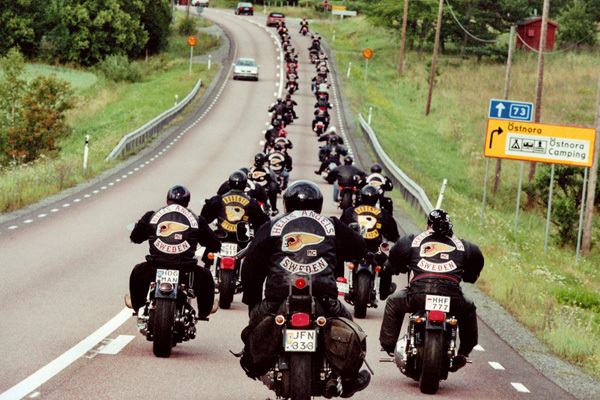 “This book does not claim to offer a complete view of Hells Angels, just one image: mine”, says Per-Olof Sännås. 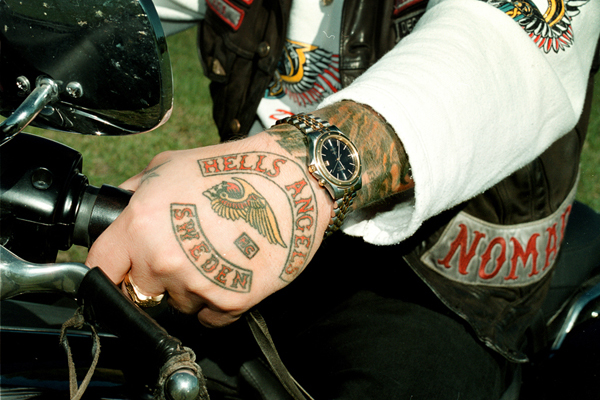 This is his unique pictorial story from inside the world’s most notorious motorcycle club – Hells Angels! This is about football and fanaticism, about a sense of connectedness and camaraderie, and about tension and attention. Yet, it is also about a longing to be someone. 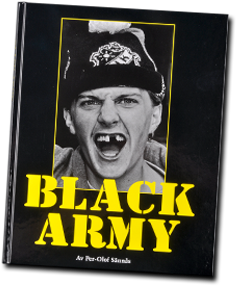 It is about the most notorious football fan club in Sweden, Black Army. In a day an dage in which players are sold as commodities and the clubs are listed on stock exchanges, a lot of what was once known as a team spirit has moved from the pitch up to the bleachers. 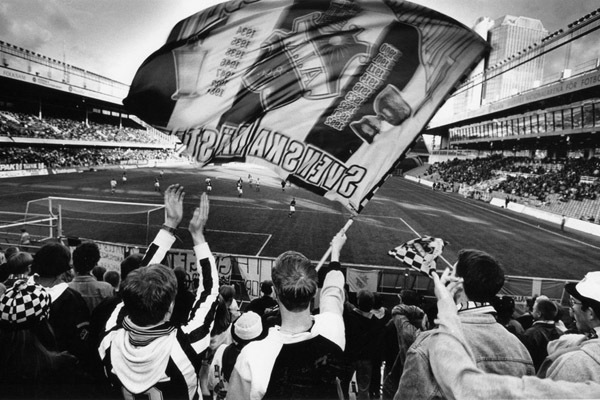 The football fan club becomes a way for many young people to “make a career”. School and the workforce offer them little opportunity to raise their self-esteem and form an identity. On the bleachers, their actions can yield them social rewards according to the gangs own prestige ladder. To the guys and gals in Black Army, AIK means everything. Their love for the team unites them in a toxic ecstasy which nobody can live without. However, fanaticism has a dark and dangerous downside, as love for one’s own team goes hand-in-hand with hatred for the opponent. This book is the story of a few young people and their love for a team. However, it also documents a societal phenomenon that deals with much more than just football. Graffiti! It is about stolen spray paint, small signatures and complete wall paintings. It is about Hip-Hop music and decorated subway tunnels. It is about a simmering cultural stew containing ingredients from all around the world. 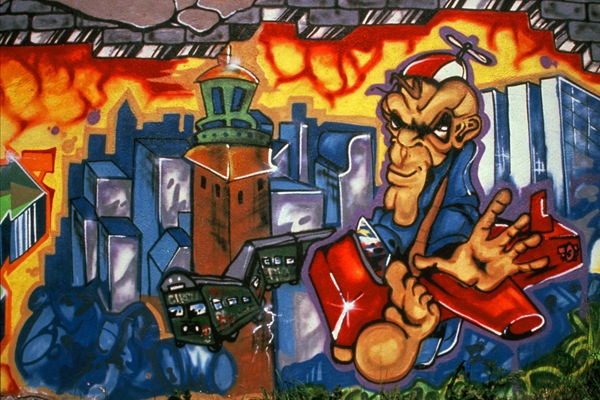 Many people regard graffiti as tasteless scribbles. Others see it as a refined art form that is here to stay. Yet, regardless of what you think, you are affected by it. 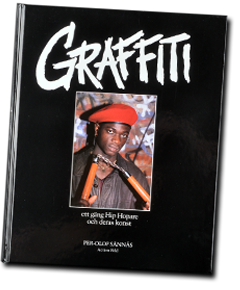 In Per-Olof Sännås book Graffiti, you will meet Here to Stay, This Town Stinks, Vandals in Motion and other youth gangs who have taken to spray paint as their weapon. You will meet, Disey, Ziggy, Zip and Baze. These are suburban youth who have something to say. They want to be seen, to grab your attention and find excitement. They want to protest and highlight the injustices and problems in our world. The book takes us through the Hip-Hop culture. From its beginning in the Bronx in New York in the 70s, up to the wall painting done in your block last night, this book tells of music, dance and graffiti. Those are three means of expression that have taken Hip-Hop around the world and in among us - for better or worse. 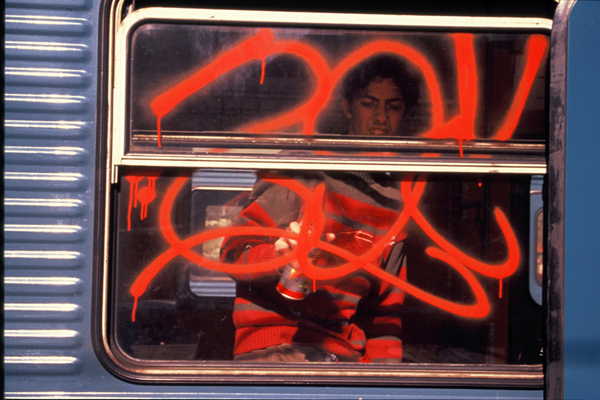 The book Graffiti is an exciting reality documentary, which in a quick and interesting manner reflects on and tells of a new subculture. It explains what it is that drives contemporary youth and the paintings you see fly past while looking out the subway-train window. Per-Olof lived with the gang for three years. His tenacious and unprejudiced attitude opens doors that are closed to us others. Per-Olof won the confidence of the youth. This book is the result of this open confidence. So writes Hjalmar Söderberg in the novel Doktor Glas. That description applies well to the skinhead gang that Per-Olof Sännås followed for two years. 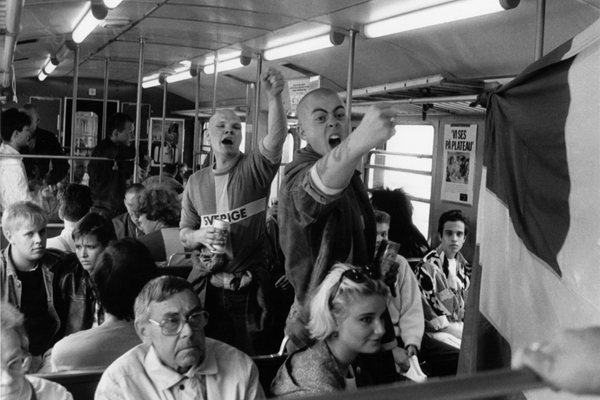 “I will never forget my first encounter with the skinheads. You see, I was assaulted myself”, says Sännås. However, the enthusiastic photographer would not be scared off. The fearless photographer returned to the skinheads’ meeting place, and in the end, they accepted him. Sännås lived with the gang for two years. 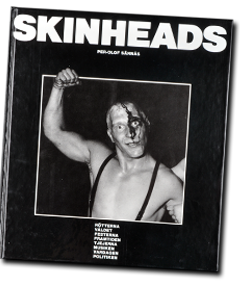 The result was the photo book entitled Skinheads, which was published in 1988. 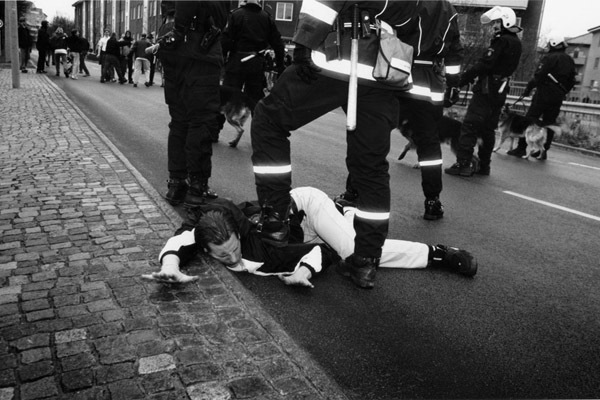 The both violent and captivating pictures made Sännås into a name within the world of documentary photography. “It was both a tragic and frightening environment”, says Per-Olof Sännås. Hatred was what united them. Hatred toward everyone who did not look like them. Every weekend, they drank themselves drunk and then made their way out into town to fight. Sometimes they won, and sometimes they themselves were beaten up. Most of the boys came from broken homes. Many of them had been bullied. Now they were striking back. That they were really fighting against their own societal class and struck people of the same social background as themselves was something on which they never reflected. 207 sidor, 170 bilder, färg, intervjuer m.m. Pris 350 kr inkl. frakt. 191 sidor, 153 bilder, s/v + färg, intervjuer m.m. 150 sidor, 140 bilder, s/v + färg, intervjuer m.m. Pris 325 kr inkl. frakt. 128 sidor, 150 bilder, s/v + färg, intervjuer m.m. 112 sidor, 145 bilder, s/v, intervjuer m.m. Copyright (c) P-O Sännås. Produktion: Grönkvist Art & Design AB.